I don't like to talk about gold because people feel very, very strongly about the shinny stuff. The Europeans don't apply a VAT to it because they consider it money, the gold-bugs are a crazy bunch and, at the end of the day, it's just another fiat currency. Maybe we can't print it with ease, but we sure can mine it. 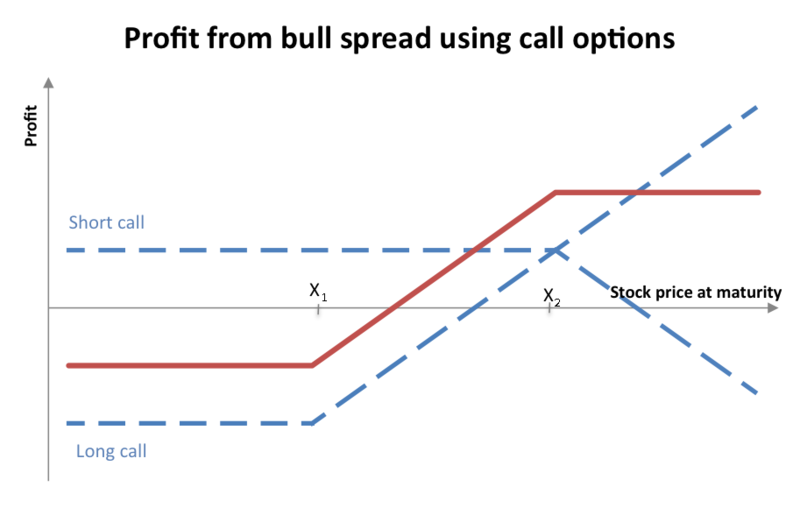 The call-option strategy "is a way of buying exposure cheaply," says Alan Lancz, a money manager for institutions and wealthy clients in Toledo, Ohio. He says it lets investors use "a small amount of money to get exposure even when prices are this high." Ummmm, no. You are not "buying exposure cheaply." It's actually quite expensive and, believe it or not, there's lots of options traders and market makers out there making sure it's not "cheap." At $16, your break even (not counting opportunity cost and transaction fees) is $136. Sure, you have a year and a half, but gold has almost quintupled in price in the last 9 years and almost doubled in price in the last two. If you consider that trend will keep going, the calls might really be a great deal, but someone is selling you that call for a reason, because they have reason to think it won't happen. The March-November retracement of gold in '09 dragged gold down 30%. The long term trend is upwards, but there is significant dips in the interim. Considering the last giant gold market in the 1970s lasted about 10 years... You catch my drift. In any case, maybe gold will go parabolic--I don't know or care--in which case you would be better served by buying cheaper out-of-the-money calls. By cheaper, I mean each contract costs less money, because the options still have the fat tails priced in. Secondly, why not gold miners? If you want to speculate on the price of gold increasing, gold miners would be a better bet because of the implicit leverage and your downside is already covered if you are using calls. Gold storage isn't cheap and GLD has a costs and management fee that makes returns drag, so just go for the gold miners. At least they generate profits instead of just piling on costs. Lastly, buying at-the-money calls in this scenario is an expensive move to make and it's not even that effective if gold does go parabolic. It takes a climb to 136 to get to break-even and after that, you have the same exposure everything else does, except you paid more for it. If gold went to 200, for example, you'd have a return of 400%, but if you bough the 150 calls for 5.71 you'd be up 600%. What I am saying here is that buying ATM is not a good strategy if you think the movement upward is going to be huge, it's more suited when you have a top in mind, in which case you'd be better served by using a long call-spread to lessen your costs. If you had bought the 120 calls and sold the 180 calls for 4.45, your break even would have dropped to 131.55 and your return would have been 524% for a similar move to 200. Even better, you could setup a long call-spread on the mining calls with 3-month options and adjust your max gain/pain to your personal parameters and roll over the calls whenever you either enter max-gain territory or when they are about to expire, which is functionally equivalent to a zero-cost collar. That way, if we see another re-tracement, like we did in '09 you could limit how much you lose on a potentially worthless call. What I am trying to illustrate here is that buying "unlimited upside" is expensive, and if you are willing to give up extreme events, there's better returns to be had in other bullish strategies. 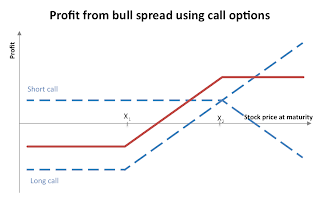 You can set up a spread or collar and keep moving it up as long as the asset does well to lock-in gains while still maintaining limited downside. Maybe gold will quintuple in the next 18 months, I just would rather not wager on that event.